The London Centre for Book Arts (LCBA), founded in 2012 by artists Simon Goode and Ira Yonemura, has established itself as a core educator and provider of studio resources in the UK book arts community. It is a space where enthusiasts and professionals can gather and engage in skill-sharing and personal growth. The centre also promotes a culture of making and artist-led publishing by providing workshops and open- access to their Britannia Works studio, which now houses an array of letterpress, binding, reprographic and finishing facilities. A natural progression of their skills-sharing mission, LCBA’s first book, Making Books, (Pavilion, £20) is an overview of basic bookbinding techniques and the tools, equipment and materials required for the task. Six chapters are devoted to step-by-step guides, each one taking the reader through the entire process of creating a distinct style of book and its variations. They are organised by levels of complexity ranging from pamphlets to multi-section case binding. Making Books acts as a useful introduction to the practice, whether the reader has attended one of the Centre’s courses or not. Yuki Sugiura’s photographs are dotted throughout the book and place focus on the Centre in use, ultimately pointing the reader to workshops at the Centre for further education in the many other binding styles and structures beyond its pages. It is a place that is hard to resist – Sugiura shows it to be an exciting hub where the smell of ink and sounds of mechanical craft hang happily in the air. Experienced practitioners will find the book useful as a reference; in particular, Jay Cover’s technical illustrations offer a quick refresh of folding and sewing patterns. Absolute beginners will need to read the instructions that run alongside the illustrations quite carefully. The book has been designed to be widely accessible and sits alongside a limited number of similar publications. 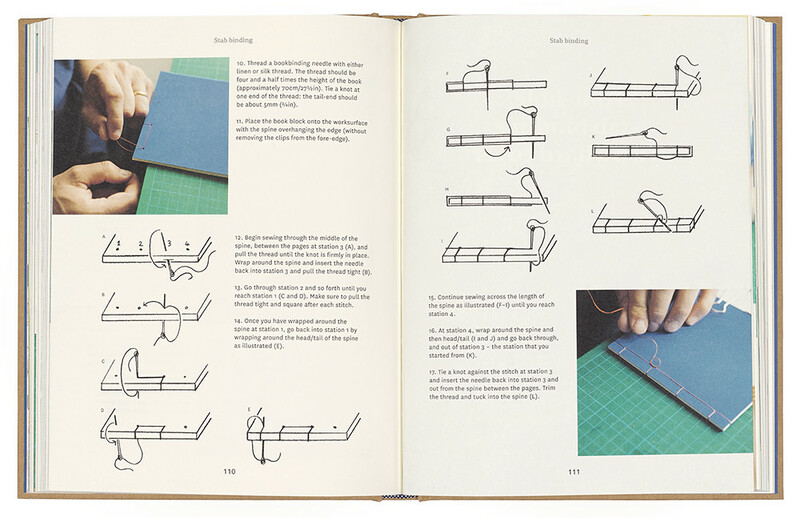 Techniques for bookbinding are readily available online, but these are often produced for amateurs by amateurs. Making Books, by contrast, is comprehensive, reliable and written by skilled practitioners. Making Books is well produced and inviting; readers should have no problem creating successful hand-made books by following the guides. Bookbinding is a skill that takes perseverance and repetition to perfect – ideas for variations are offered throughout the book, along with occasional advice about design. 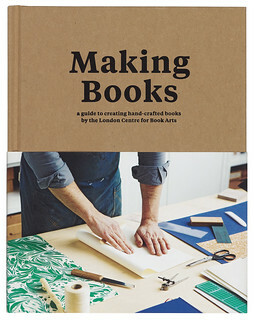 Having worked through this book, many readers will be interested in visiting the London Centre for Book Arts for more. 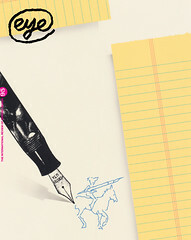 Right and top: Cover and spread for Making Books by Simon Goode and Ira Yonemura.